The Michigan Supreme Court has finally closed the door on a tactic the state’s largest teachers union has used to prevent school employees from exercising one of their legal rights at any time. The Michigan Education Association only allowed workers to opt out of paying union dues or fees during what it called an “August window,” and then erected obstacles to doing so. 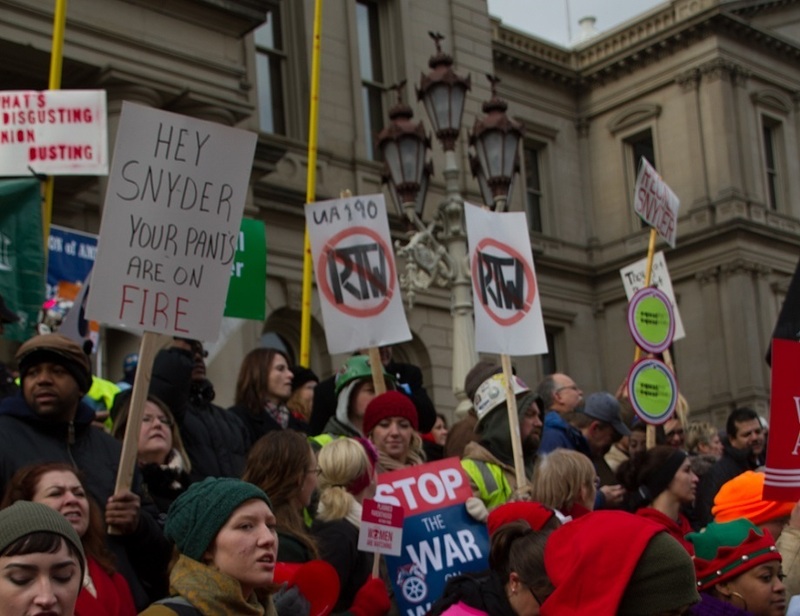 The court ruling comes nearly five years after the March 28, 2013, effective date of Michigan’s right-to-work law, which says that nobody can be compelled to pay a union as a condition of holding a job. But from the start, unions have tried a number of schemes to make it more difficult for a worker to opt out of paying. The MEA’s August window requirement is the best known version, but unions are using others methods to blunt the effects of the law. For example, the Teamsters and some other unions only allow an employee to opt out during a 15-day window near the anniversary of when that person took a job in a unionized workplace. Few workers can identify the exact day they began working for their current employer, much less the date on which they presumably signed a union form. People who work in government offices face unique obstacles to leaving their union behind. If a state has a public sector collective bargaining law, as Michigan does, and it makes changes to that law, a government employee union may ask workers to sign a new dues authorization form. Buried in the form’s small print may be what amounts to a personal contract in which the employee agrees to keep paying the union even after leaving the union under the prerogative granted by the right-to-work law. By signing this form, the worker becomes obligated to pay the equivalent of dues and fees, even though the right-to-work law prohibits employer-union contracts that make dues payment a condition of employment. These former, furthermore, often constrain the period during which an employee can exit the personal contract. Union shop stewards who present line workers with a form that, they say, needs to be signed, are unlikely to inform them of the subtle but significant difference. The employee who signs it is entering a personal contract with the union and not merely authorizing the employer to continue withholding dues and fees.